The latest issue of Doctor Who Magazine reveals that The TV Movie will be re-released on DVD as a special edition in 2010. 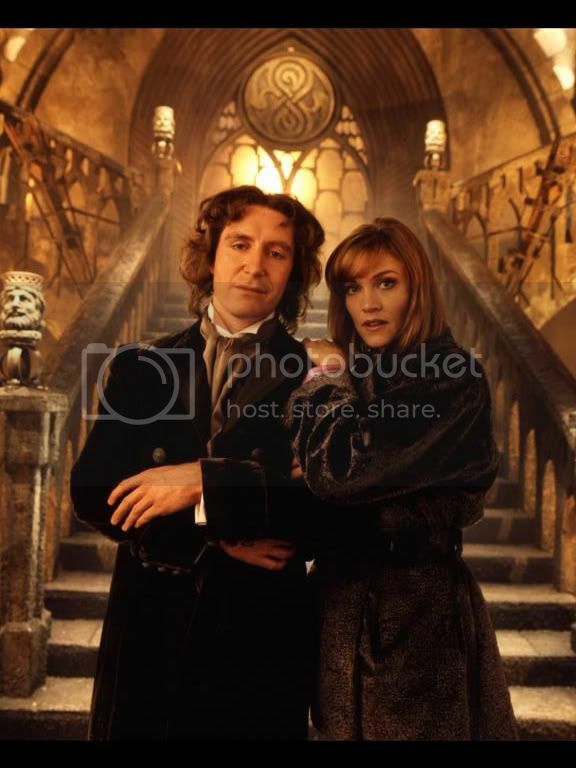 The special, which stars Paul McGann in his only television appearence as the Eighth Doctor, was first shown in 1996. The new release will be part of the "Revisitaions" box set, which will consist of new editions of stories that were previously released in the early days of the DVD range. The TV Move special edition will include a documentary called The Seven Year Hitch, which looks at producer Philip Segal's long quest to get the project into production and talks to Segal himself, as well as writer Matthew Jacobs and the then-BBC One controller Alan Yentob. There is no confirmed release date for the Box Set, nor is it known if the story will finally be available in North America. Also in DWM is news that Jamie and Zoe will be reunited in a new three-part Big Finish story in 2010. Wendy Padbury will join Frazer Hines in a Sixth Doctor story starring Colin Baker. The first story, City of Spires by Simon Bovey, will be released in April and guest stars Georgia Moffett. It will be followed by The Wreck of the Titan by Barnaby Edwards and Legend of the Cybermen by Mike Maddox.